I attended a makeup artists expo a week ago and came across the Make-Up Designory (MUD) stand. Now I had previously heard of MUD, but this was through some friends I know in the professional makeup world. 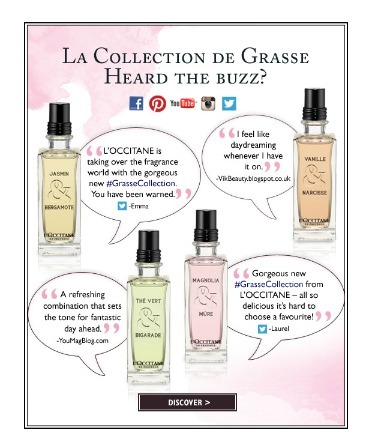 It isn't the sort of brand you would find in drugstores or department stores. It is an American professional makeup brand. 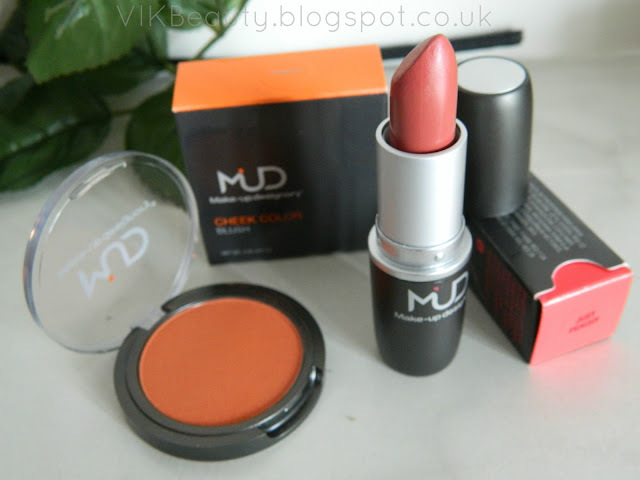 I was keen to try the brand out, so picked up a blush"Pumpkin" and a lipstick "Just Peachy". As summer is approaching (hopefully!! 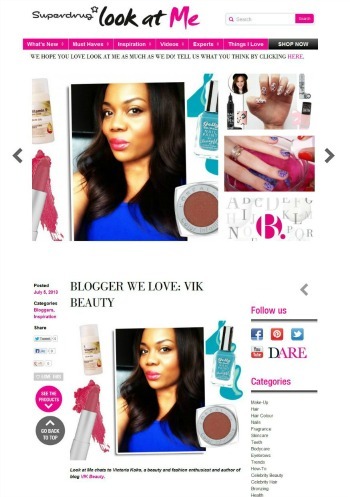 ), I love using peachy, pinky and coral tones on my cheekbones, lips and nails. So I thought these two items would be the perfect addition to my summer makeup bag. I just like brightening things up a little. I also find that these shades compliment my skintone well. I have been wearing this blush since I bought it! I seriously love the colour. 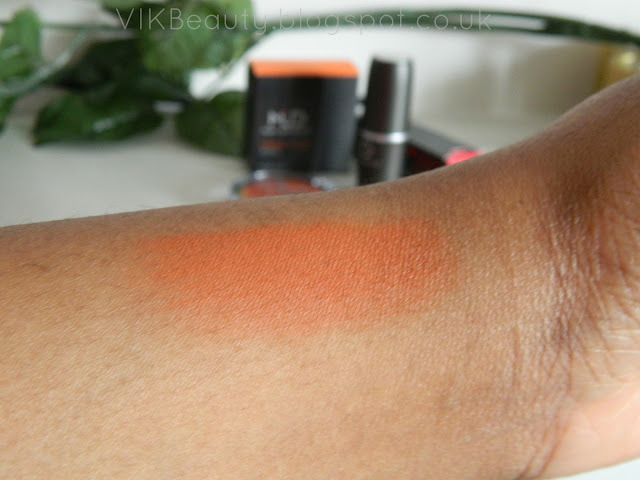 It is described as a "deep burnt orange" cheek colour. I think that is spot on. 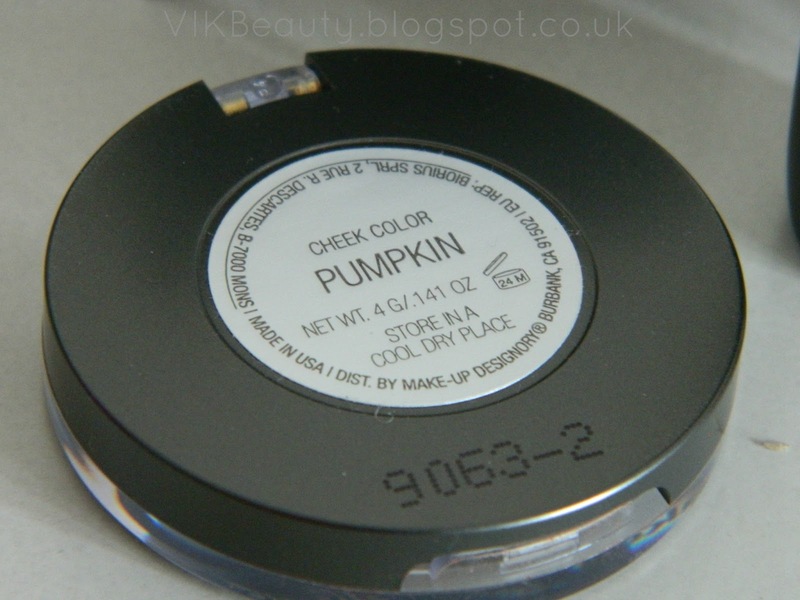 It is a compact powder blush and it's extremely pigmented which is great. It also appplies really well. It can definitely add a nice glow to your face. 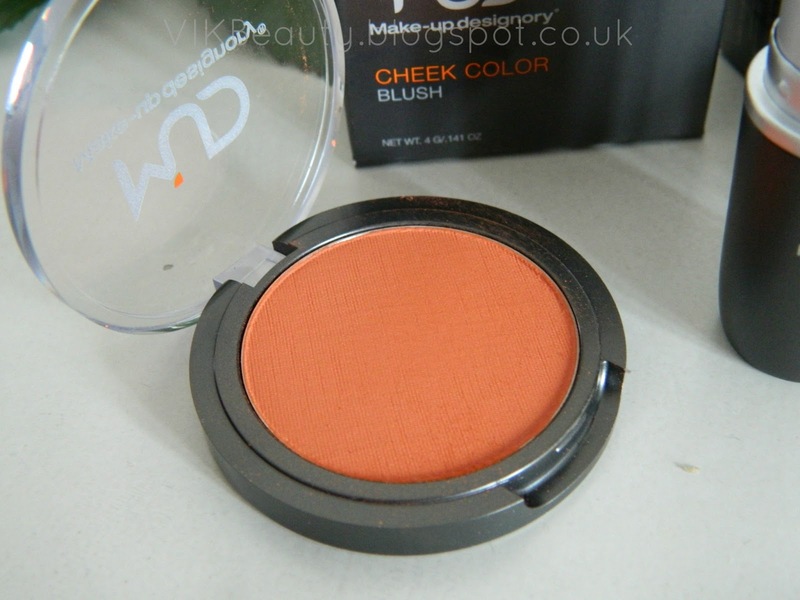 This blush retails at £12 for 4g. When I first saw this lipstick, I didn't think it looked very peachy. However, I have had experiences where I look at a lipstick and try it on and it comes out completely different. So I had to try it out first. 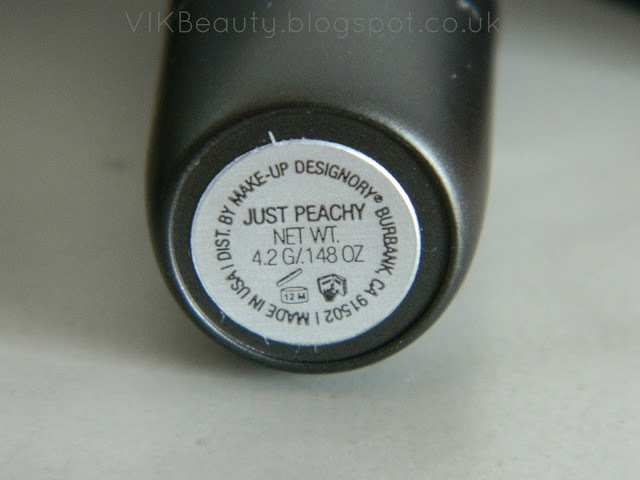 Just Peachy is decribed as a "soft peach color lipstick with a muted orange undertone". I think it's more of a peachy pinky colour. I'll let you decide from the pictures. This lipstick is part of the MUD sheer lipstick collection, which is odd as I don't think it's sheer at all. I'm not really a fan of sheer lipsticks. 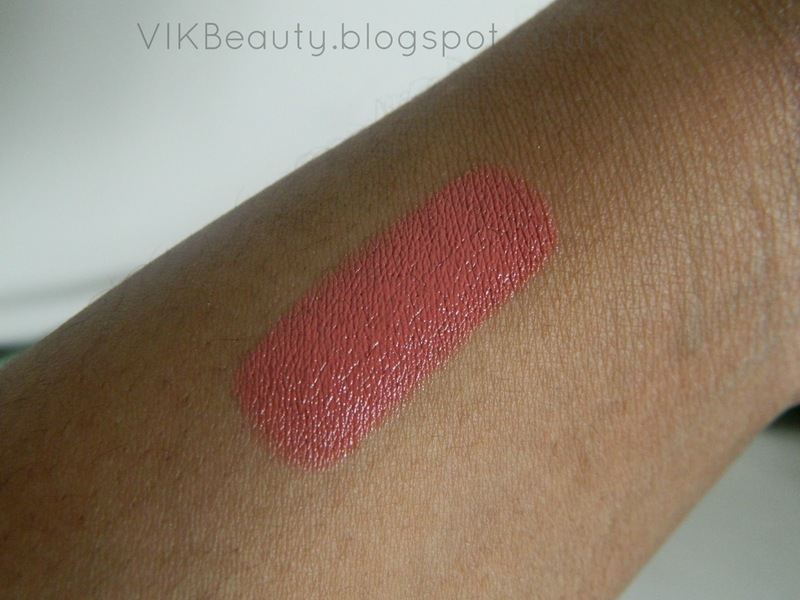 I would describe it as a rich, creamy, glossy lipstick which applies on really smoothly. It also feels quite moisturising (it didn't dry out my lips). It lasted on lips until I ate some hours later. This lipstick retails at £10. You can pick these goodies up online. Click here. What do you think of the colours? Have you tried any MUD products before? It would be great to hear your thoughts! 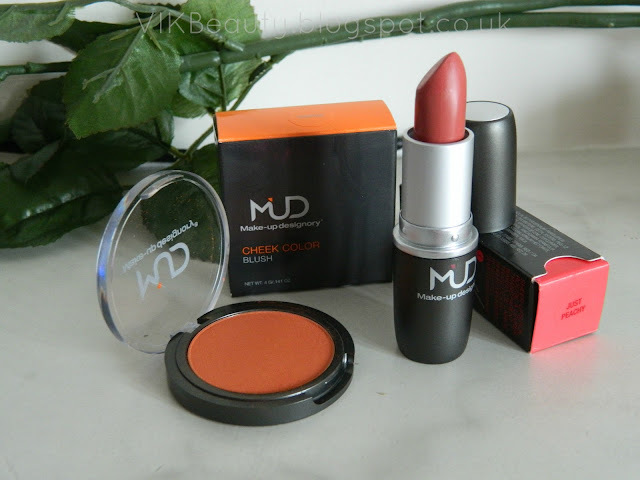 I have not tried any products from MUD but these colors are gorgeous and perfect for spring and summer.